As of now, we have gotten about more than two feet of snow. I just got in from scraping snow from my car, and I'm hoping we won't get anymore snow. I had a few plans today that were canceled and that I do hope things will be in my favor tomorrow. Moving in the midst of a snow storm is no fun and that I was hoping to get settled at my new house before Christmas, but it doesn't look like that's going to happen. 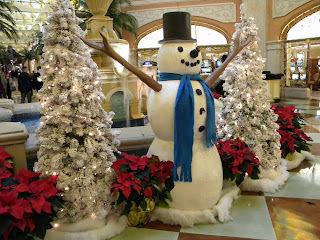 For now, I'm stuck at home and decided to blog and share some photos from my recent trip to Atlantic City. 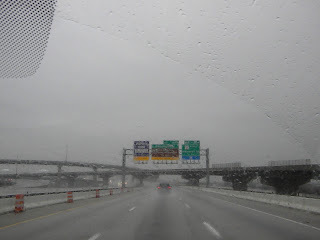 Last week, my friend, F, and I made our trek to Atlantic City. 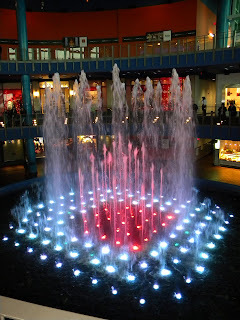 It's been two years since I was in AC, so I was excited because this was another chance to experience the place and also see if the place has changed. We stayed at the Borgata and got great room rates. Borgata after all has been getting all the raves in AC. 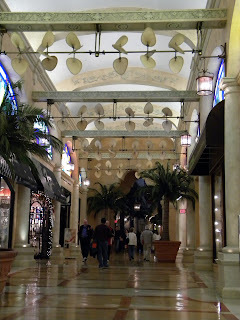 When we arrived, Borgata didn't disappoint and that I would totally stay there again. Below are some photos from the trip. On the road again...to AC. 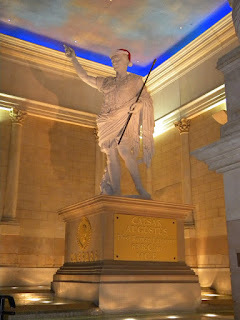 Entering Caesar's Palace, and Caesar is wearing a Santa hat. 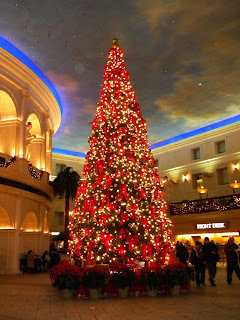 The tree at the Caesar's Palace. 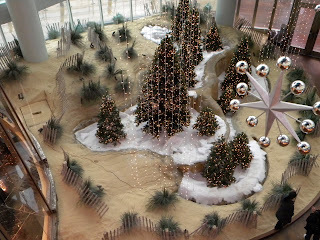 Sandy Christmas decoration at the Caesar's Palace new shopping mall. 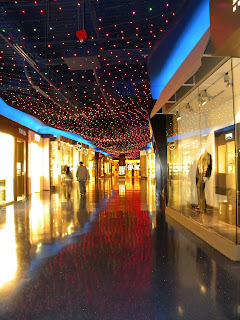 Shopping beneath the starry ceiling. 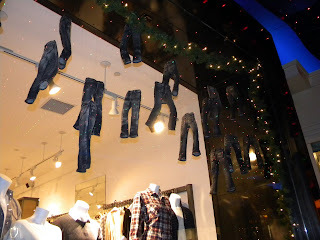 A display of really small jeans. 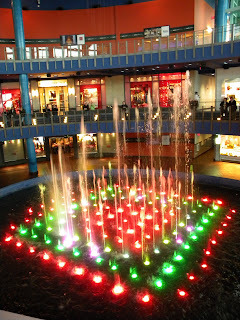 Water show at the Caesar's Palace mall. 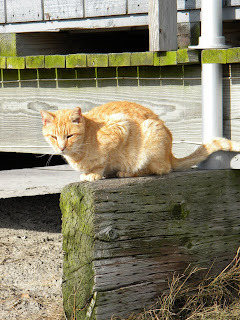 A stray cat at the boardwalk. There were a lot of stray cats there. 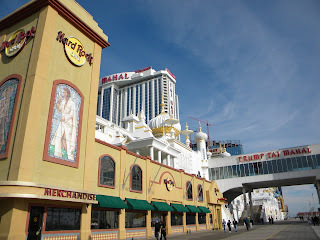 AC boardwalk - featuring Elvis at the Hard Rock Cafe. The Market Cafe at the Tropicana casino. 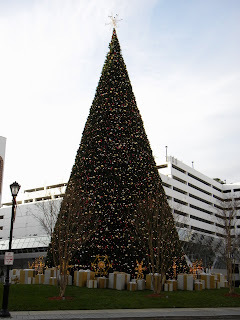 I think this is the AC Christmas tree located at the front of Trump Plaza. 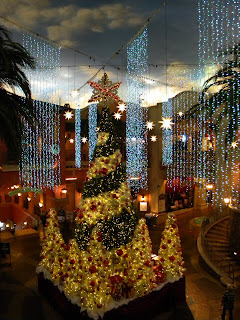 There are a lot of changes in AC especially with the additions of the malls at the boardwalk. I think there's a push to make it look like Las Vegas, but I think it will take quite a while before AC can compete with Vegas. 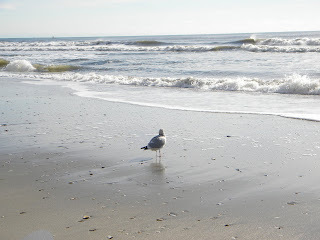 On its own, AC has the advantage of being near the beach and its boardwalk has a beauty on its own. Finding trinkets at the boardwalk shops is something I really enjoy. AC has its own beauty and that I'm glad I got this chance to see this place again. 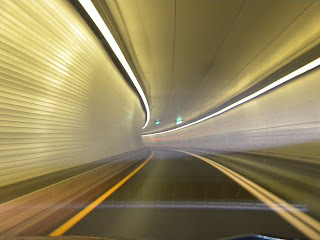 I like your shot of the Baltimore Tunnel. I think Atlantic City is beautiful. Lene, Thank you. I also like that shot and the cat =). I'm hoping the snow storm will be over soon. Fren, That's my observation too, the malls aren't crowded there. I think that everyone's feeling the pinch from the recession. I would have guessed that AC's proximity to the beach alone would make more visitors choose it than Vegas which is in the desert. Beautiful, beautiful shot of the tunnel! Ingat lagi. Hope the weather is better. your Manong says thank you for the birthday greetings. 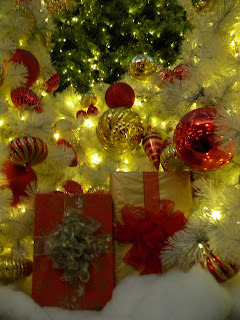 have a wonderful Christmas, Kayni!